Sorry, no matches on eBay for "You Left Me Sore Todd Rundgren". Showing latest 5 ratings for this track. | Show all 26 ratings for this track. 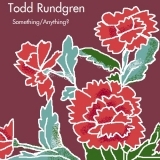 Related links: top tracks by Todd Rundgrentop tracks of the 1970s, top tracks of 1972.